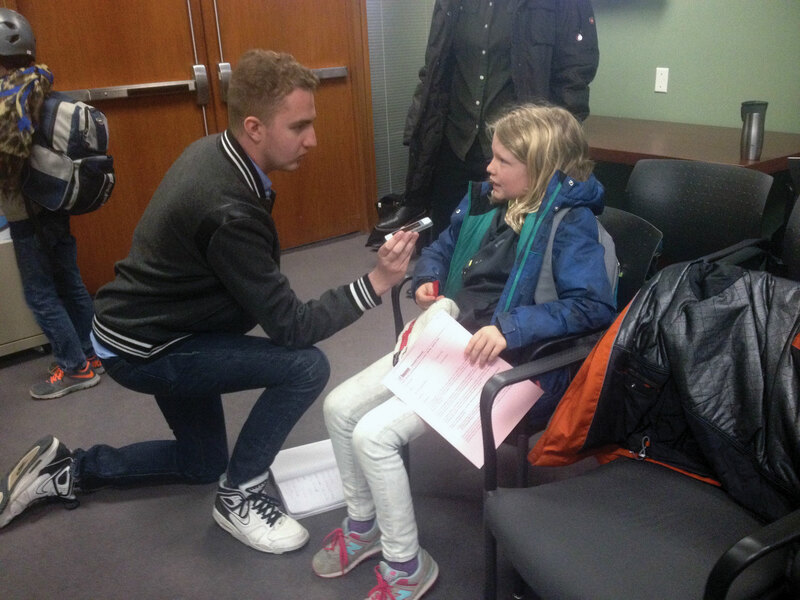 PHOTO BY BRIAN BURCHELL/GLEANER NEWS: Gleaner intern Geremy Bordonaro interviews eight-year-old Malina Fritz-Schwartz after her deputation at the Public Works and Infrastructure Committee on April 25. At long last, bike lanes are coming to Bloor Street. On May 4, Toronto City Council voted 38 to 3 approving a pilot project to install separated bike lanes on Bloor Street from Avenue Road to Shaw Street. It was only the latest hurdle facing the pilot project, which was previously considered during six hours of hearings before the Public Works and Infrastructure Committee on April 25. In the end, councillors on that committee passed the Bloor Street Design Feasibility Study and Bike Lane Pilot Project without recommendation. Although the bike lanes have been a long time coming, that lengthy wait may be instrumental to the pilot project’s success, noted Cressy, who said the community is ready to embrace the lanes. 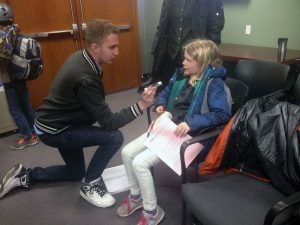 It was an overwhelming movement reflected among the diversity of those who spoke to the committee in favour of the bike lanes. While Fritz-Schwartz emphasized the boon to families the bike lanes would bring, Matthew Languay spoke of the potential boost to business. Not all business owners are in support of the plan, however. “I don’t see survival for my business on Bloor Street with bicycle lanes and one single lane of traffic,” said Michael Remenyi in his deputation to the committee. His music store has been in his family for generations, and he argued that the proposed removal of 135 parking spots to accommodate the plan would hurt his lifeblood. Cressy, however, maintains that the only true way to see the impact of the pilot project is to let it through.